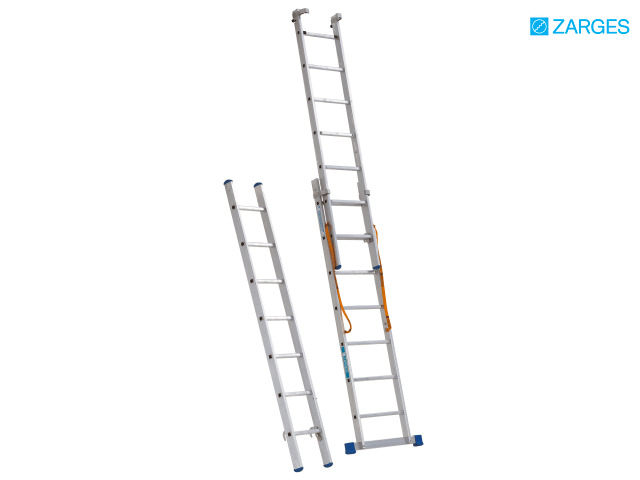 The Zarges Skymaster Trade Ladders are extremely rigid with strong connection between rungs and stiles. The top and middle section have a rung hook and positive operation locking tab, and a rigid aluminium locking bar prevents collapsing during use. 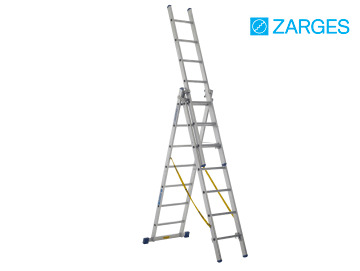 Strong nylon restraint straps with a sewn-in fixing tab keep the ladder stable and prevent splaying. Quality stile guides encompass the whole stile; with plastic inserts for smooth handling. Rung locks are bolted in so that they can be replaced. 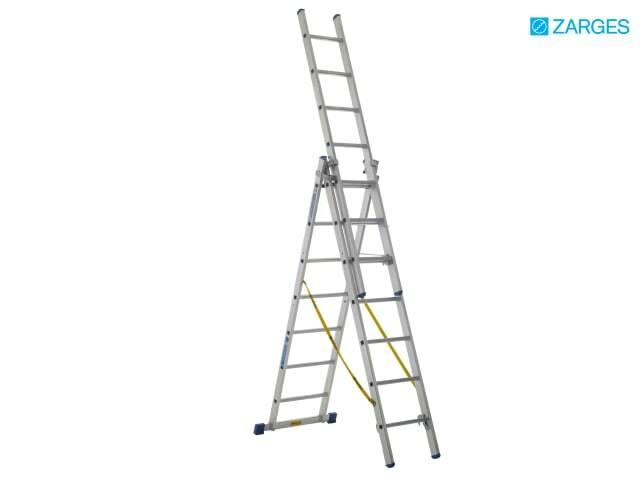 The Skymaster ladders have high-strength ZARGES quality flanged connections between rung and stile. The replaceable 2-component plastic end caps ensure positioning without risk of slipping and at the same time provide firm seating in the stile. 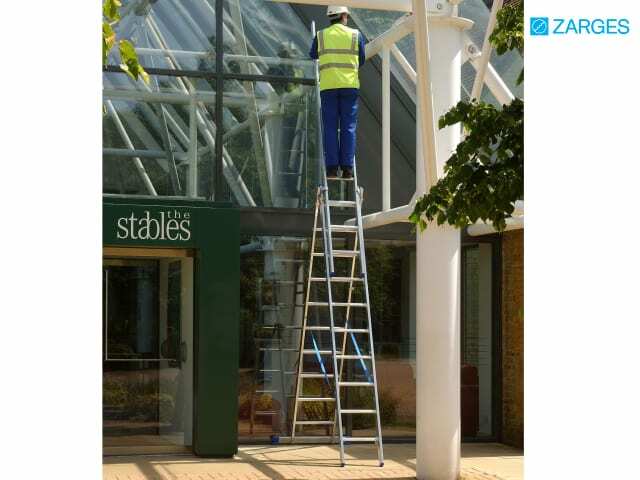 The rungs and stiles are made from extruded aluminium sections, which provide excellent strength. 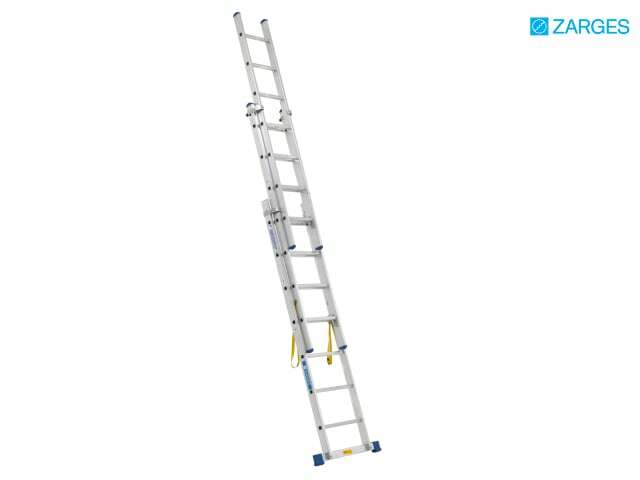 The ladders can be used on steps / stairs. 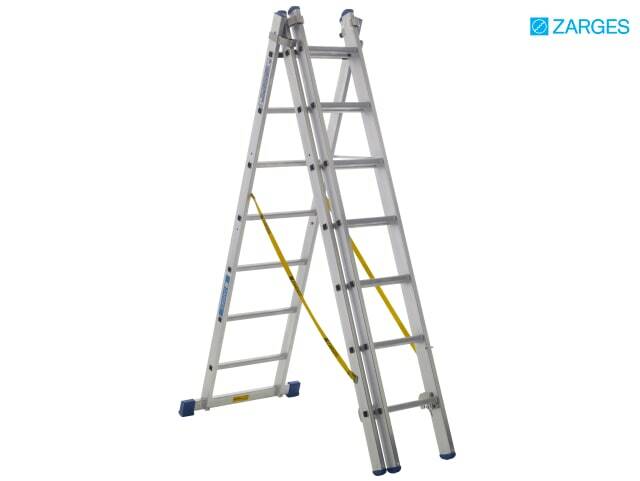 They act as 6 ladders in one and can be used free-standing, as a trestle step, single, double or triple extension ladder or even a stairway ladder. Number of rungs: 3 x 6. 2-part ext. length (free-standing height): 3m.